After that first day at work, you realize how practical it would be to have a way to approach your colleagues to see whether they share or not your interests, and also if they are willing to get a new activity partner. 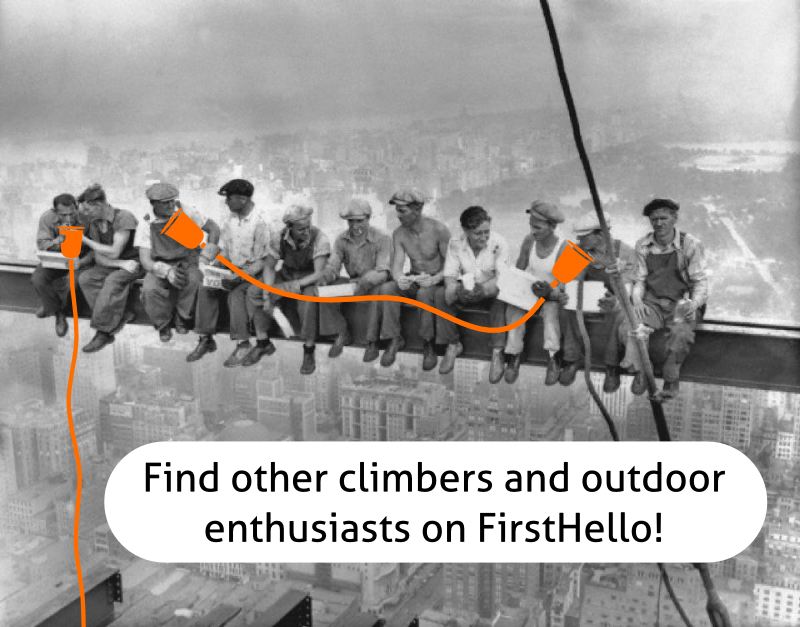 This is exactly one situation where FirstHello App is filling a huge gap: it does just that! Not only you can browse profiles that share your interests but you actually do that in total anonymity: you can choose to divulge your identity once a chat link is created and you are quite sure that the other person is ready to invest time in getting a new activity partner, or just open to converse on a shared passion. The great functionality of the App is the Nudge. It’s called Nudge because it’s an alert when a profile who shares at least one common interest with you happens to be spatially very close to you. This way you won’t miss any opportunity to find the ideal activity partner: someone who is either your co-worker, or someone you goes to the same places you go for your activities, or someone who has the same common transportation routine and takes the same train/tram/bus everyday on the same schedule: with a person like that you can more easily plan activities than someone who lives too far from you, or who has totally different schedules. When you Nudge with one person, that person also receives the Nudge, and either of you can respond to it, and once the chat link is created you can clarify some points, like the level of your interest (dedicated passion, superficial interest, etc. ), its nature (practicing versus watching sport, passionate about the historical or cultural side of an interest, etc.) , its intensity/frequency (everyday, on the weekends, etc.) or your availability to meet, etc. Once you have found the ideal activity partner or partners, you can switch the Nudge off, and change the status of your profile to a few words saying that you are not anymore looking for anybody. But of course you can still browse in the FirstHello App, and chat with anyone you would be happy to do so. Basically FirstHello leaves you totally free to manage your availability, and because the anonymity is total, this feeling of freedom is increased so that you are never worried to feel awkward when you ask someone you never met if he/she is interested to go hiking with you next weekend, or to start a salsa dancing practice regularly at the dance school of the neighborhood. On your second day at work, you decided in the morning to download the FirstHello App and you set the Nudge on before getting on your train to work. You did not receive any Nudge on the way to work, but you already started browsing the different profiles that you ordered by distance: some of them seem to be very close to you, for sure in the same neighborhood, and there are about 5 of them who are also very fond of hiking in the weekends (based on the status on their profiles), all very promising. So you decide to send each of them a FirstHello, a message that tells them that you are interested to stat chatting based on what you saw from their anonymous profile. You arrive at work and none of them have responded yet. Well, friendship doesn’t start right after a click on a smartphone, so let’s give it some time. Again today looked like your first day, your laptop still has some problems and you passed the whole morning on the phone with IT support... The lunch with your team members was equally boring as it was the day before, and just after the to-be-a-daily-ritual coffee after lunch, you are back to you desk, reading some information about the company and some HR stuff. Suddenly, your phone flashes: you received a message on FirtHello! Your very first one, and you are very excited! But wait, it’s not a message, it’s a Nudge! Because you need also to have the App open to receive the Nudge, it means that the person is very close and has looked at the FirstHello app just now! Looking at the profile, you see that it’s a guy, plus or minus 2 years from your own age, and that you are matching on two interests: hiking and mountain biking. Actually he seems to really like biking, judging from his status: “Ready to continue my mountain biking challenge beyond my limits! Would be great to have someone to share my passion with!” You like mountain biking but you may not be as crazy about it as his guy seems to be, but you lose nothing discussing it directly with him, so you send a FirstHello, and you wait. Just two minutes after that you receive his first message: “Are you from this office?” You quickly agree to go and grab a coffee at the canteen and here you are, having your first non-boring conversation in the workplace! This guy may not be the ideal activity partner for you, he looks incredibly fit and you already realized that you won’t be able to follow him on his crazy ironman-like journey he does in the mountains every Sunday... But nevertheless he is a great guy, you had a very nice conversation, and you have already planned a lunch together in two days. You go back to your desk, happy to have broken the ice with one of your colleague and probably initiated a good friendship, when you realize that two profiles have responded to your FirstHello sent on your way to work that morning!